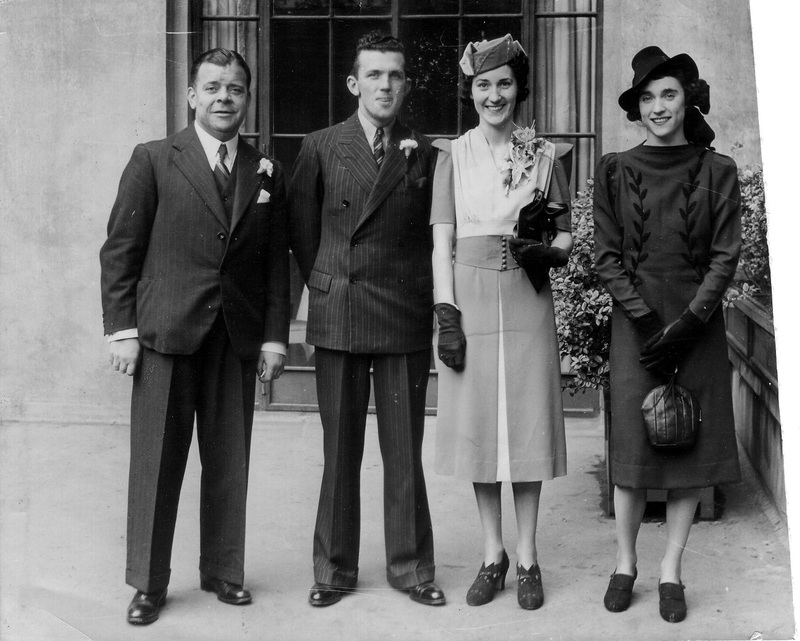 Stephen Sullivan and Carmelita Fahy at their wedding, 1939. See larger and full size and original PNG. born 2 Sept 1913, Strand House, Limerick. At marriage 1939 he is listed as "manager", living The Diamond, Monaghan town. He mar 18 Oct 1939, St.Michael's, Inchicore, Co.Dublin [GROI] to Carmelita Fahy [NOT Carmel, NOT Fahey]. They were mar by Fr.Paddy O'Mara, but not in his church on Gardiner St.
Carmelita was born 23 July 1914, 3 Mina Terrace, Islandbridge, Dublin [GROI]. 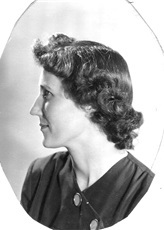 She was dau of James Fahy, a Guinness clerk, by his wife Anne Kavanagh. Stephen and Carmelita met on the Isle of Man on vacation, early summer 1939. She was living St.Michael's parish, Inchicore, at marriage. Stephen and Carmelita sailed to USA in late 1939 as war descended. 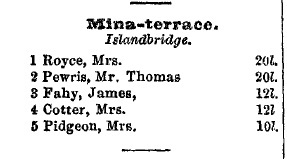 James Fahy and family lived 3 Mina Terrace, St.John's Road, Islandbridge, Dublin. Fahy not there yet in [Thom's, 1905]. See them listed at 3 Mina Terrace in [Thom's, 1910]. 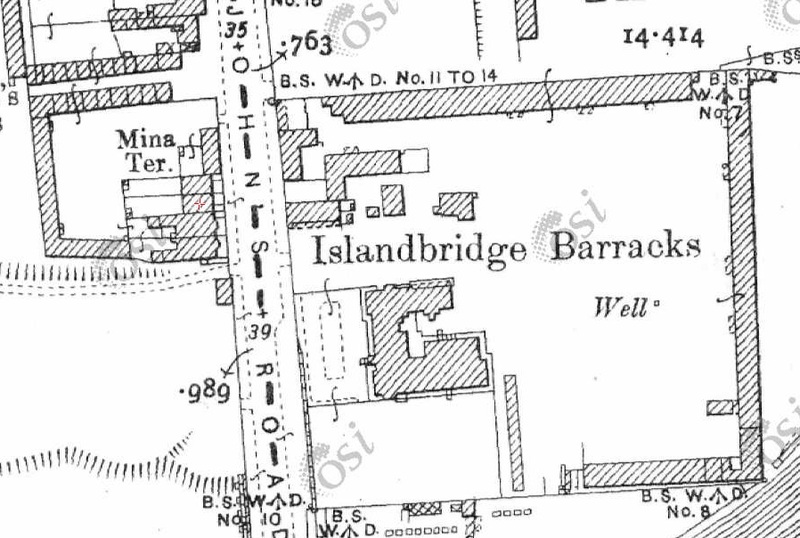 They are listed in 1911 census at "Islandbridge West Side" (St.John's Road). See them listed at 3 Mina Terrace in [Thom's, 1914]. Still living 3 Mina Terrace at Carmelita's birth in 1914. In [Thom's, 1919] the house is re-numbered as 101 Circular Rd, South, at Islandbridge. Fahy is gone. 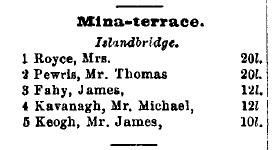 Mina Terrace, St.John's Road, Islandbridge, on 1887 to 1913 map. There were 5 houses in this row on W side of St.John's Road. No.3 was the middle house. Mina Terrace is vanished today. The site is an apartment block. See street view. 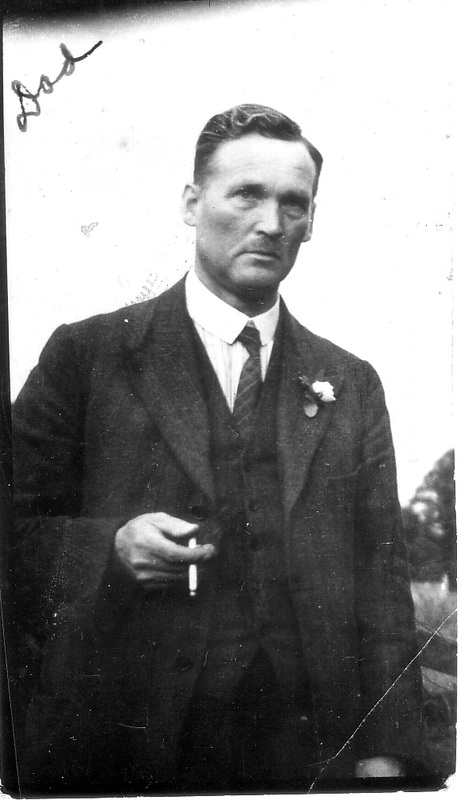 Carmelita's father James Fahy (died 1939).